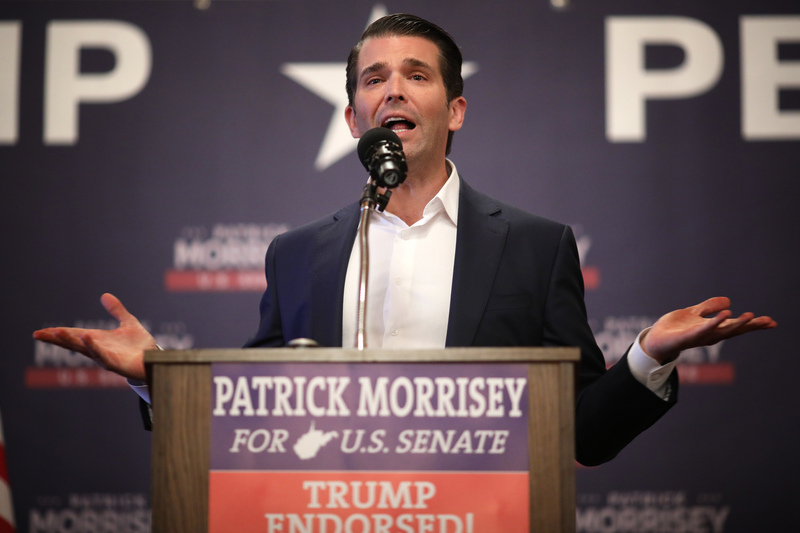 Donald Trump Jr. shared a meme on his Instagram that claimed the policies of socialism will cause Americans to eat their dogs. 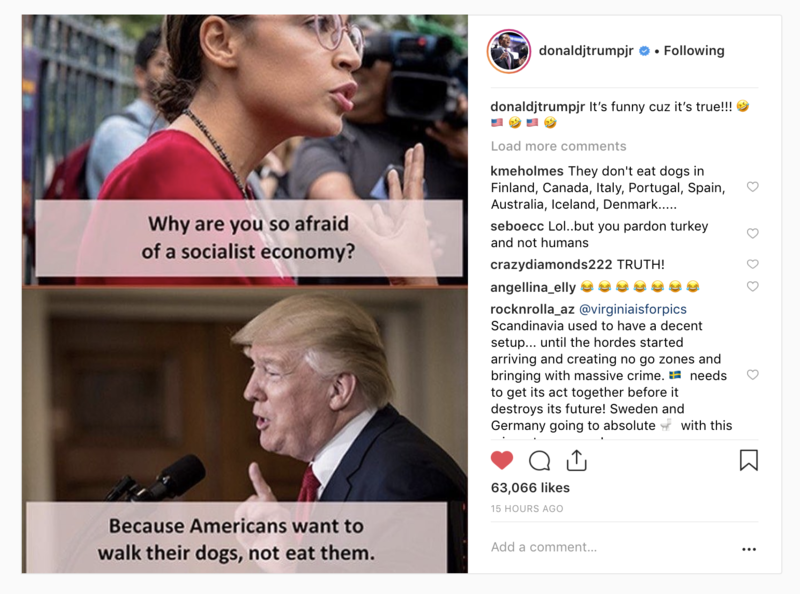 The reference was to places like Venezuela, where a socialist economy has left citizens to fight dogs in the street for food scraps taken from the trash. The meme was liked over 60,000 times by Trump’s 1.5 million followers. Ocasio-Cortez is a Democratic Socialist and has been an outspoken voice for more progressive policies, such as Medicare for All. Ocasio-Cortez has made waves since arriving in Washington DC. On one of her first days in Congress, Ocasio-Cortez joined an environmental protest into Leader Nancy Pelosi’s office.